At the end of last year, our bovine citizenship reached 4.3 million – we now have more dairy cows than New Zealanders. And although this milestone has been on the cards for years now this fact has been met with a muted response from environmentalists. The fact is we’re probably too busy trying to saving our polluted rivers & lakes and often these things fall by the wayside – but I thought I’d take some time to introduce you to these bovine citizens and the environment we create to support them. Many of our dairy cows hail from the verdant land that is Holland, so phenomenal amounts of water needs to be poured onto our land to replicate this environment. It takes around 900 litres of water to produce one litre of milk. Once upon a time, these cows lived in aqueous regions with a decent amount of rainfall (such as the Waikato), but now they’re taking up residence in many of our drier spots. The dry-land of the Mackenzie country is now the latest immigration hot-spot for our dairy cows. And to support their dietary requirements (read: lush grass), they need water, water, water: something that puts great strain on our rivers. To put it in perspective, two decent sized dairy farms can use more water than the whole city of Christchurch. Of course it’s not just the sucking up of our water supply, irrigation irreversibly destroys the ecology of our semi-arid zones. To water the Mackenzie Basin to support dairy cows is in effect, drowning a desert (and the myriad plants and animals that have evolved in that dryland landscape). So what! I hear you say. The water gets recycled and returned to these rivers eventually. Well yes, but during its journey from pivot irrigator to rivers, it absorbs a heap of nitrogen care of artificially fertilized soils. You see, to create this long evergreen carpet of grass, you need another key ingredient – fertilizer. Once this was done through biological farming (i,e clover), now it’s done artificially through a generous dose of fertiliser (use increased 113% between 1983 – 2002). It is estimated 90% of our lowland rivers are polluted by farming. The small fishes, the eels and the freshwater crayfish are all affected when the nitrogen levels are too high and our rivers become choked with algae. In fact, two thirds of our native freshwater fish are now threatened with extinction, and if the pollution continues at its current rate, ALL species are predicted to go extinct by 2050. If you don’t care much for freshwater fish, consider them the canary in the coalmine for the effect this water is likely to have on us. Back to the cows. They eat a lot of grass – and unsurprisingly they produce a phenomenal amount of dung. They produce 14 times than that of a human. Some people say we’re a low density country – not any more, we’re dealing with the sewage equivalent of 60 million people. And again it’s our rivers that suffer. There aint no fancy sewage system for these citizens – much of their faecal matter ends up in our rivers and lakes (and that’s not to mention the gassy methane that comes off their pooh). So our rivers suffer a double whammy – they’re not only depleted by these water takes, the groundwater and runoff that trickles back them comes laced with a fair whack of nitrogen and faecal matter. To add insult to injury, these dairy farms chew up a vast amounts of electricity – again straining our commons such as our rivers through hydro-damming. It’s estimated that your average dairy farmer spends approximately $14,000 a year on electricity – placing untold pressure on the grid and creating a huge demand for dams. And as you’ll know these 4.3 million dairy cows release a toxic mix of methane-soaked farts and burps into the atmosphere– something that accounts for 50% of our total greenhouse emissions. Reading this blog, you’d think I am anti-cow. I’m not. I eat cow and I eat dairy products (but a far smaller amount these days). What I’ve tried to do based on my concerns around the impact dairying is having on all of our rivers and land is to choose products that have a smaller impact. So for the last couple of years I purchased organic milk and have recently switched to goat’s milk for my coffees, which I’m quite enjoying! I realise that cash-strapped sheep farmers have had very few options other than converting to dairy farms and some of them will make mint profits which will feed back into NZ economy. But it seems to me we’re going about this all wrong. All around the world, particularly in places like China and South America, dairy farming industries are picking up on the practices and technology we use here in New Zealand to produce a lot of milk. In a few years from now those countries will have surpassed us in our ability to produce that sort of quantity of milk, and will have honed their techniques for doing so. Why would countries want to spend extra to import milk products from all the way out in New Zealand, if they can get hold of the same milk product closer to home? However, our distance from everyone is also our advantage. Wouldn’t it be possible for New Zealand to increase its regulatory framework in order to produce milk products that have better environmental outcomes and are a better quality product than the mass-produced milk found all around the world? We already know that there’s a growing market for sustainably produced products. For example, global sales of organic food and drink have increased three-fold since 1999. New Zealand trades on its ‘clean green’ brand. In order to maintain our green image however – we really need to inject good environmental practises into dairy farming, not just because it’s good for our environment, but because it’s good for our economy. By producing quality products with a higher return rather than mass-produced products found all over the world, NZ can create a niche market and get ahead of the pack. The question is, will we have the foresight to take this opportunity before it’s too late? Nicola Toki has contributed 14 entries to our website, so far. View entries by Nicola Toki. 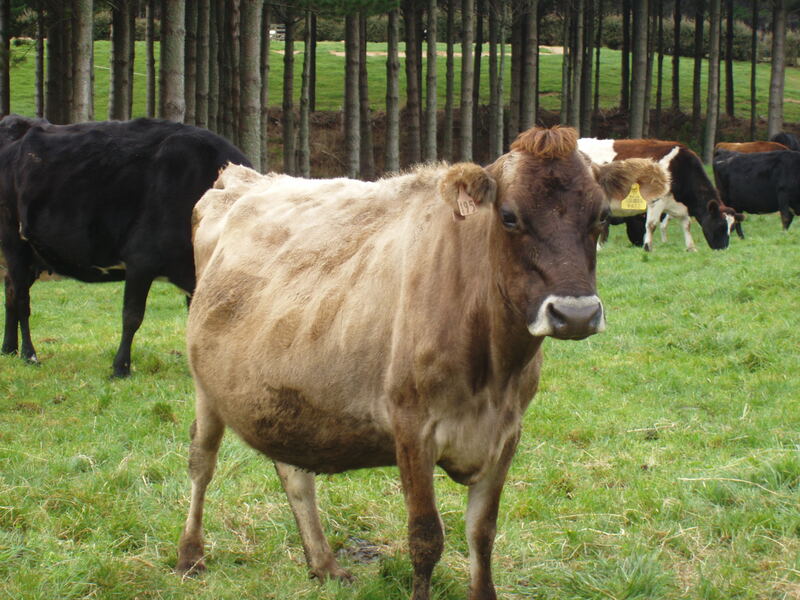 Demand for water for land-use conversions to dairy farms is not just a problem in Canterbury. There’s absolutely huge demand for water from the Waikato River right now. Given that so many of our F&B members are farmers, it’d be interesting to hear their views also. Thanks for this blog to start things rolling. Thanks for posting this articulate, well written article, I’ve long been an opponent of dairy farming, and generally boycott mainstream dairy products, in favour of organically produced goat products. I particularly liked the usage of numbers to really illustrate the huge impact that mainstream dairy farms really have. I was shocked at the sheer magnitude of resources used. Here’s a rather wonderful talk by New York Times food columnist and chef Mark Bittman on what’s wrong with what we eat. He talks about a lot of things you touch on Nic – permaculture, the problems with corporate-agriculture, the over-consumption of dairy and meat and the rise of organics. A few more fundamental and ignored facts about milk and dairying that your readers might like to think about in terms of NZ Inc.
China’s 2010 milk consumption was 28 billion litres a year. Fonterra estimates this will rise to around 80 billion litres a year in just a decade. NZ supplies 85% of China’s whole milk powder consumption at present. China has 50% of the Synlait milk plant at Dunsandel in Canterbury. It now also controls our biggest agricultural servicing company PGG Wrightson. 65% of our exports are still basic unsophisticated commodity exports from farming, fishing and forestry. Yet NZ is still drifting down towards the bottom of OECD countries in terms of GDP per capita. Meanwhile thousands of low paid NZers are voting with their feet and emigrating. Finally the fundamental fact, which is never reported or discussed in the media, is that the real return on these uncomplex commodity exports (farming, fishing,forestry et al) is the same as it was in 1971! (Westpac Economic Review, November 2009) How’s the for economic development? All these exporters can do is intensify production to try to maintain income, and of course indulge in that traditional NZ activity, land speculation on agricultural land. There are solutions, but these aren’t discussed or addressed either. What’s that about ostriches? Dairy farms are having an impact on our coastal waters as well. I was in Waihi recently and saw the impact there. A stream (which when I saw it was a reasonably sized river due a cyclone) had been created with huge sandbags (about as big as a dining room table) to drain a wetland making way for more pasture. I believe it is reasonably common knowledge that wetlands are an important environmental feature that serve to filter and clean water as well as slow it down thereby mitigating floods. However we are still draining them! The new river was also changing the shape of the beach. Another stream further up also had a noticable sewage smell. These are things I didn’t expect to see at a well known and frequented beach. And it is certainly something I would not like to see along any of our coastline. I understand that our dairy industry is expected to continue growing. We should question this growth and think about the alternatives. Could organic farming produce a higher end prodeuct that means we don’t need to gooble up land space? It seems right now we are taking the well trodden (and worn) road at the expense of the environment.